A Bachelor of Science in Nursing–commonly abbreviated as BSN–is an undergraduate degree designed for people who want to become registered nurses, or RNs. Students typically attend a nursing school or nursing department of a four-year institution to earn the BSN. The curriculum usually covers a wide range of subject areas, which include pharmacology, nursing informatics and technology, adult health, microbiology, psychiatric/mental health nursing and nursing management. A four-year program, the BSN’s first year is usually dedicated to introductory courses and general education requirements, and each program includes a few classes to impart hands-on experience. Like other undergraduate degrees, the traditional BSN program requires at least 120 credits to complete. At the end of the BSN program, graduates are required to sit for the National Council Licensure Examination (NCLEX examination) for licensure as RNs. The BSN program prepares people to provide and coordinate patient care, educate patients and the public about health conditions, and to provide emotional support and advice to patients and their family members. They also oversee the activity of licensed practical nurses (LPNs) in providing basic nursing care. 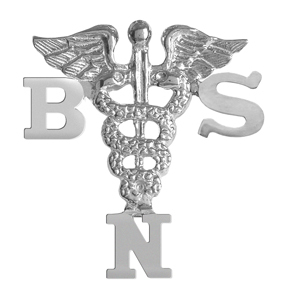 While RNs need at least a diploma or an associate’s degree in nursing, the BSN represents a higher level of training and, consequently, an increase in earning potential. The best Bachelor of Science in Nursing programs (or best online Bachelor of Science in Nursing programs) are usually the ones with more versatility for completion, offer more diverse subject material and make multiple program tracks available. At The Johns Hopkins University School of Nursing–located in Baltimore, Maryland–students can start the BSN in the summer instead of the conventional fall commencement. Also, unlike most BSN programs, which take up to four years to complete, the one at Johns Hopkins can be completed much less time; students can choose between the 13-month Summer-Entry or 17-month Fall-Entry Accelerated Option. Some nursing schools—like the Frances Payne Bolton School of Nursing at Cleveland, Ohio-based Case Western Reserve University—stand out with their courses in nursing ethics. The U.S. News and World Report publishes ranking lists of the top accredited nursing schools in the United States. In 2011, Johns Hopkins was ranked first in the nation, followed by the University of Pennsylvania. Rounding up the top 5 were the University of Washington, University of California San Francisco and University of North Carolina Chapel Hill. The aforementioned Case Western Reserve University was ranked 15th. After passing the NCLEX, graduates from a Bachelor of Science in Nursing program gain their licenses to enable them to practice as nurses. RNs typically work in hospitals. However, many other popular nursing jobs can also be found at physicians’ offices, schools, summer camps, and home health care and nursing care facilities. Some also work with the military. RN careers are financially rewarding. According to the U.S. Bureau of Labor Statistics (BLS), RNs in the U.S. made a median annual salary of $64,690, with earning potential increasing with a higher level of education. The BLS expects the number of RNs to grow by 26 percent between 2010 and 2020, which is one of the fastest employment rates in the U.S. labor market. After completing their Bachelor of Science in Nursing Degree, some RNs choose to go back to school to get a graduate degree for becoming specialized nurses, which include nursing practitioners, clinical nurse specialists, case managers and nursing administrators.